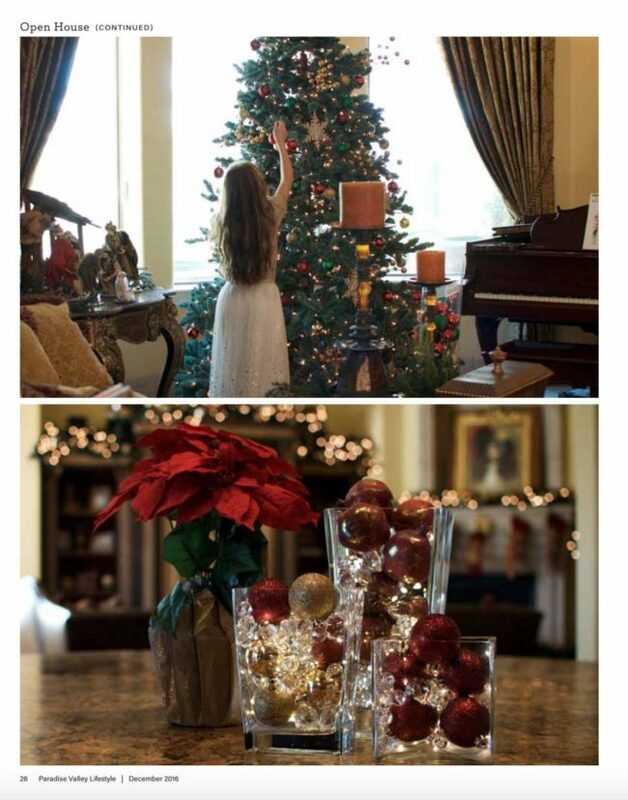 A few weeks ago we shared a sneak peek behind the scenes of the photo shoot for our “Home for the Holidays” feature story in the December issue of Paradise Valley Lifestyle magazine, and I’m excited to announce that the publication is out! Please check out the story below, including one of my favorite Christmas recipes and a do-it-yourself holiday decor project, plus a super easy recipe for mulled wine that didn’t make the editor’s cut due to space constraints. If you’re in the Phoenix/Paradise Valley/Scottsdale area, the magazine will soon be arriving in your mailbox or, if not, the entire magazine is available online as well. Enjoy and Happy Holidays from our home to yours! Please note that the DIY decor display described above is pictured below. And here’s my easy, breezy recipe for the mulled wine I mentioned in the story. Cheers! Mulled wine (or cider if you prefer the non-alcoholic version) is ideal for entertaining! 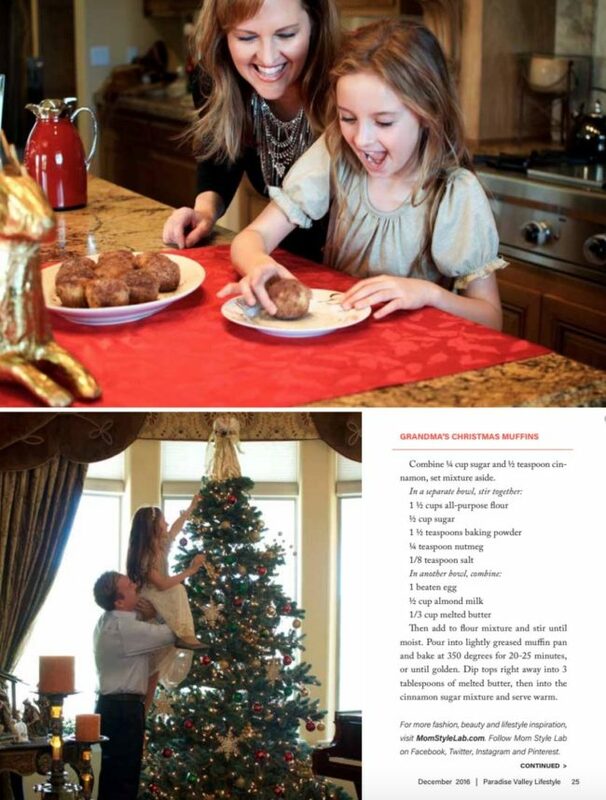 Not only is it festive and delicious, it makes your home smell like the holidays. Yum! Simmer the apple cider with mulling spices in a mulling spice ball on the stove for about 20 minutes. Add wine and simmer for 5-10 more minutes. Add more cider or wine to your preferred taste. Serve in mugs and garnish with cinnamon sticks. Even easier option: Buy Spiced Apple Cider (Trader Joe’s has a great one), simply simmer with wine until warm and serve. 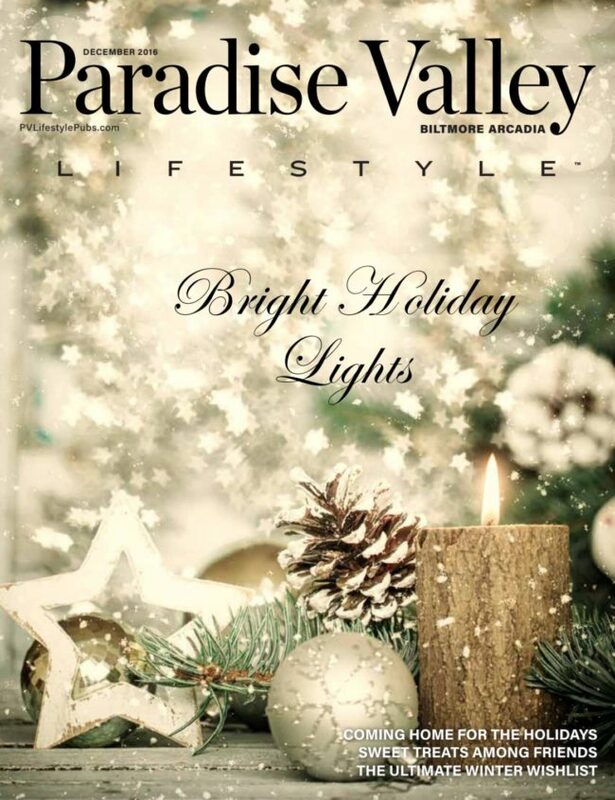 View the December 2016 issue of Paradise Valley Lifestyle magazine online.